BERLIN — Holocaust survivors and officials gathered Sunday at the memorial site of the former concentration camp Bergen-Belsen in northern Germany in a solemn ceremony to commemorate the liberation of the camp 70 years ago. The camp was liberated on April 15, 1945, by British soldiers who found more than 10,000 dead bodies when they entered the Nazi camp. German President Joachim Gauck thanked the British soldiers for the liberation and honored them as "ambassadors of a democratic culture who were not looking for revenge." Around 200,000 people were deported to Bergen-Belsen during the Nazi reign of terror. More than 70,000 people died here — among them the famous Jewish teenage diarist Anne Frank. "Right now, we stand on one of the largest Jewish cemeteries in the world. But there are no gravestones, there are no markers," Ronald Lauder, the president of the World Jewish Congress, said in his speech. "The victims buried here lost not just their lives; the Nazis took their identities as well." 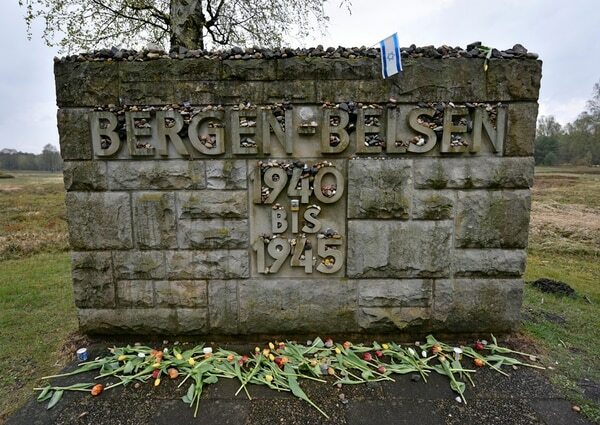 Flowers and stones are placed for victims on a memorial stone during an April 26 ceremony to mark the 70th anniversary of the liberation of the Bergen-Belsen concentration camp in Bergen, Germany. Ceremonies have been held across Germany and Poland throughout the spring marking the advance of Allied troops as Nazi Germany neared defeat. They are even more poignant this year because of the dwindling number of survivors and witnesses to the Holocaust, the murder of 6 million Jews by the anti-Semitic regime of German dictator Adolf Hitler. 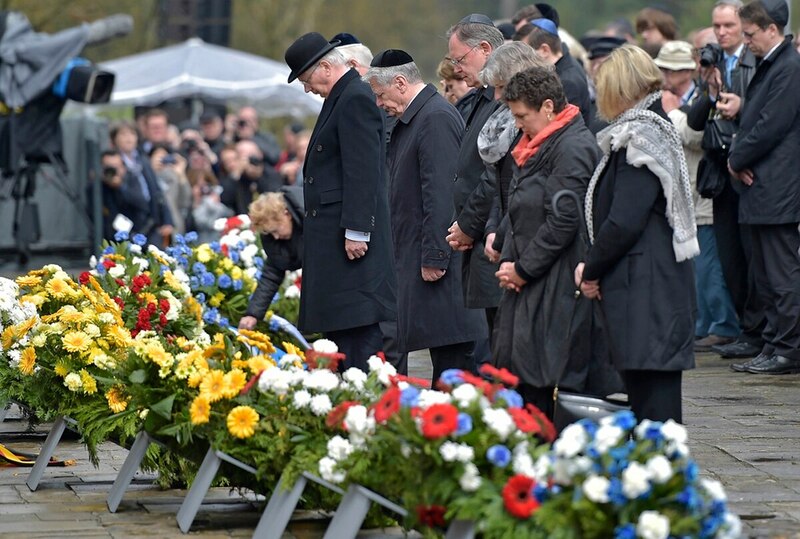 Striking a cautious note, Lauder warned his listeners at the ceremony in Bergen-Belsen that anti-Semitism is on the rise again in Europe, 70 years after the end of the Holocaust. "Today, 70 years after this camp was liberated, we hear the same anti-Semitic lies," Lauder said. "Today, a Jewish boy wearing a yarmulke cannot walk down the street in Paris or London or Copenhagen without fearing for his life." Commemorations were also held at the former Flossenbuerg camp in southern Germany, where some 30,000 people died between 1938 and 1945. Flossenbuerg was liberated by American soldiers on April 23, 1945.